Coming to the end of your career doesn't have to mean the end of your ICAS membership. Over 18% of ICAS members are retired, and they continue to enjoy our social events, offers and discounts, and much more besides. ICAS knows that just because you've given up full time employment, it doesn't mean you're ready to hang up your calculator. You can use our CA Jobs service to find opportunities to work with charities and voluntary organisations. We continue to offer support for members who are using their skills in these voluntary roles including low cost or free training for those working with charities. If you have a reduction in your income because you have taken early retirement, you may be eligible for a reduced subscription. A reduced subscription is available for all members who have an expected earned income below the threshold set by Council. Any state benefit payments are not included as income. If you have income above the threshold, you may still be able to make an application if you are in exceptional circumstances. If you are 65 by 1 January, you are automatically entitled to a full waiver of your Annual Subscription fees even if you are still working. There is a small charge if you wish to continue to receive the paper form of The CA magazine. 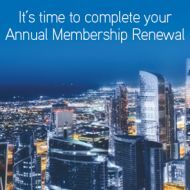 We will automatically apply the full waiver with magazine to your membership for 2019 unless you request otherwise. Whatever you are doing with your retirement, it's easy to comply with the ICAS CPD regulations. There's no need to take expensive courses, or clock up a minimum number of hours. Instead, you only need to do CPD that's relevant to your current activities, and in proportion to them. The CPD team have lots of examples of how other retired members have complied with CPD to help you. If you have not undertaken any of these activities during the calendar year, you can claim an exemption from CPD for that year on your Annual Return. For further information, please visit our CPD section. When you know you are unlikely to undertake any of these types of activities in the future, you can then apply for an on-going exemption from CPD. This also exempts you from having to complete a full Annual Return. Qualified for fifty years? Then you are eligible to join the ICAS Gold Club. Gold Club members are invited to exclusive annual events with ICAS. For more information, please contact the member engagement team .